Hip and Knee Handbook of Joint Replacement – An excellent resource if you're considering a hip or knee joint replacement! The definitive resource for Total Joint Replacement, 1000s of copies sold! And here's a call to action for all who would purchase the handbook new. Amazon lets buy-back resellers undercut the pricing. We receive no royalties from this unfair business practice! Please help us out as the original authors by insisting on buying it for the list price of $14.95 ! It's only a few dollars extra for you, but it's the only source of revenue to keep this website up. Thanks! Presented by both patients and medical professionals alike! Comments Throughout: To help you through this life-changing journey, Dr. Hugate, Robert and Francine comment on all the subjects answering the questions you would never think to ask. You become a part of the conversation instead of being lectured at with technical, medical jargon. There are simply no other patient-education, medical handbooks out there like this. You won’t be disappointed with this easily understood and informative look at: The journey through Total Joint Replacement! Robert says, "Even if you've been through a joint replacement before, there is a lot to know. 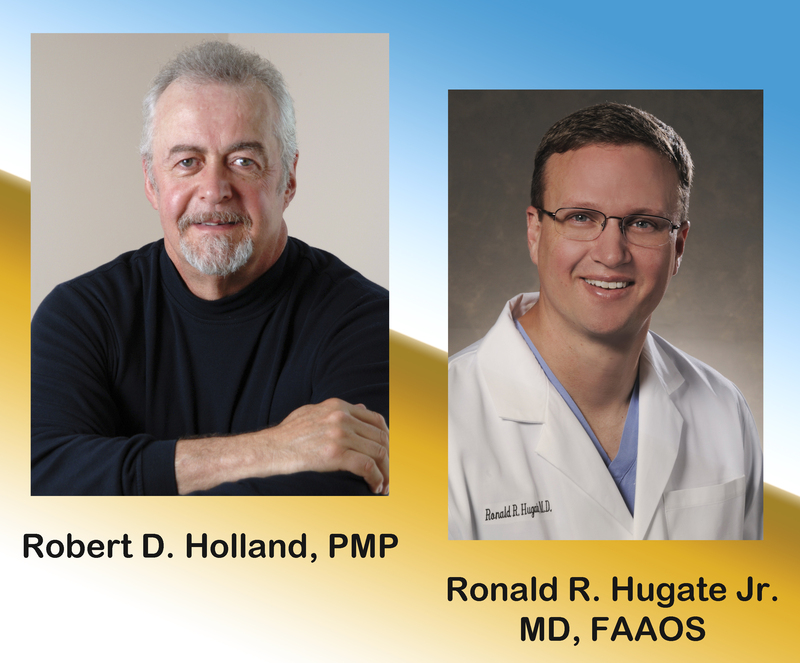 Working with Dr. Hugate on this book about hip joint replacement surgery and knee joint replacement surgery was an education in and of itself and now that I've been through it all again recently in April of 2013, I found myself referring back to the handbook throughout this latest journey."